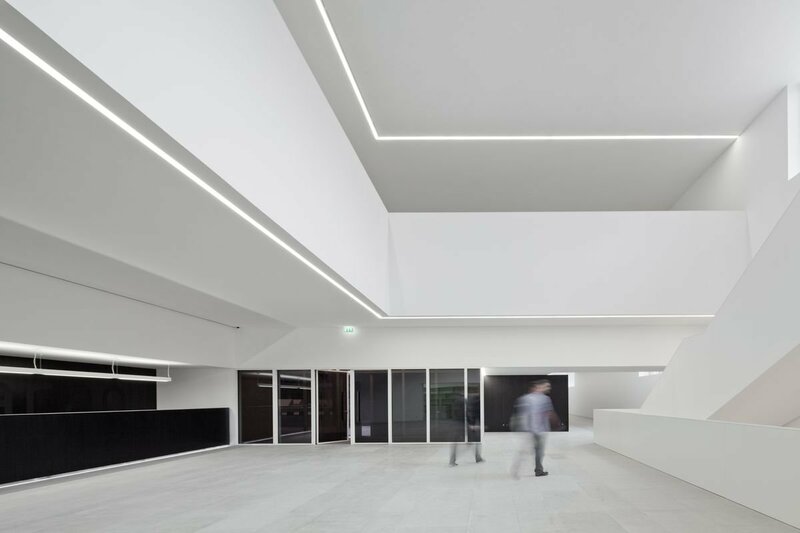 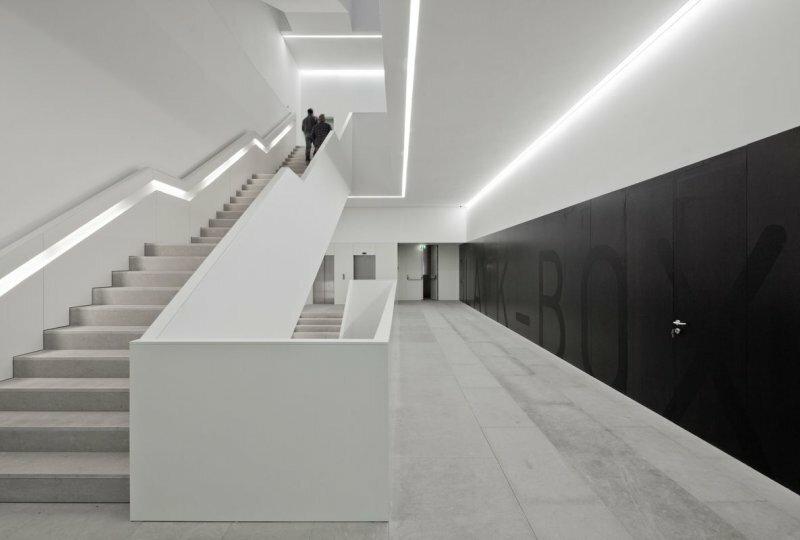 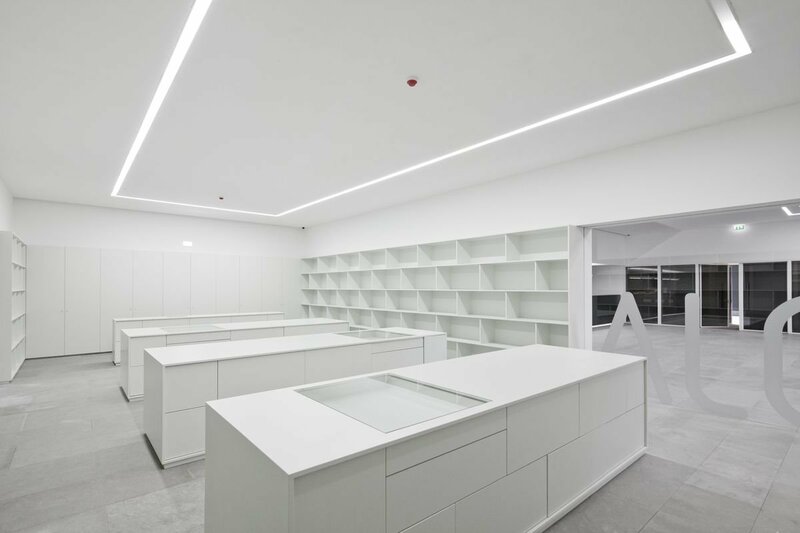 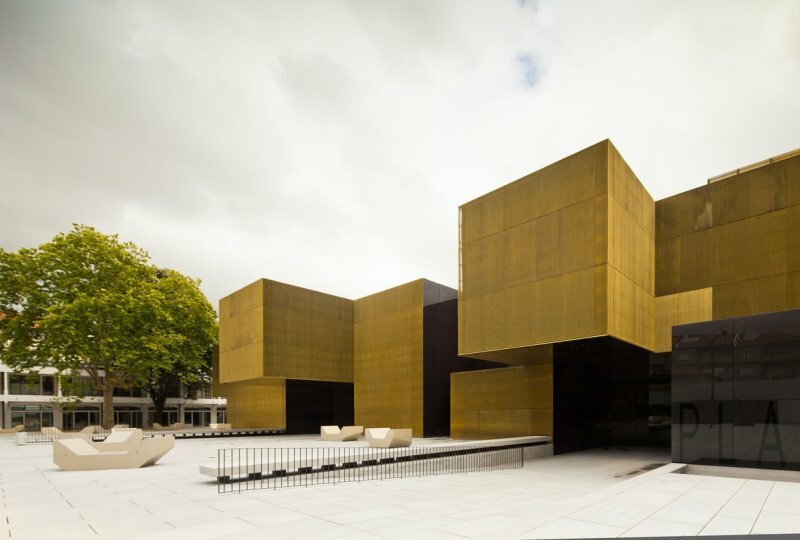 ﻿The central building catches attention with its strong golden color from outside, but inside a minimalist white space can be found, which gives the best background for arts. 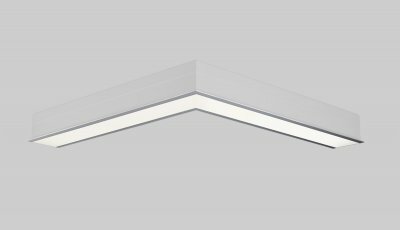 The Lina lighting runs are placed in white corridors, halls and stairs, and perfectly match to elegant space. ﻿Project Platforma des Artes was built for cultural purposes in Guimaraes city – European capital of culture 2012.